Richard Somes moved to Manila to study, only to work part-time as a props man on Erik Matti’s Scorpio Nights 2 (1999). He soon became the Philippines’ most in-demand art director and production designer, breathing life into Matti’s Prosti (2002) and Gagamboy (2004), Mac Alejandre’s Ang Panday (2009) and Dodo Dayao’s Violator (2014). 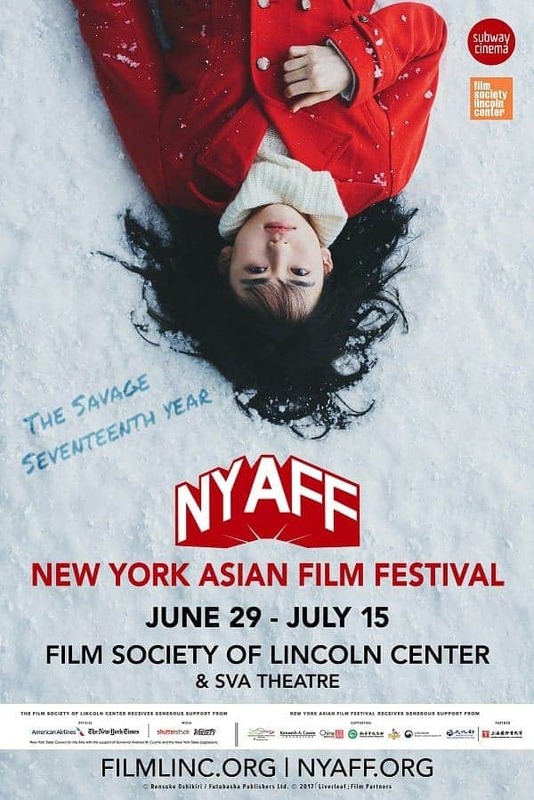 He founded Strawdogs Studio Production in 2007 to direct his first feature, horror Affliction/Yanggaw (2008), a retelling of the aswang mythology. 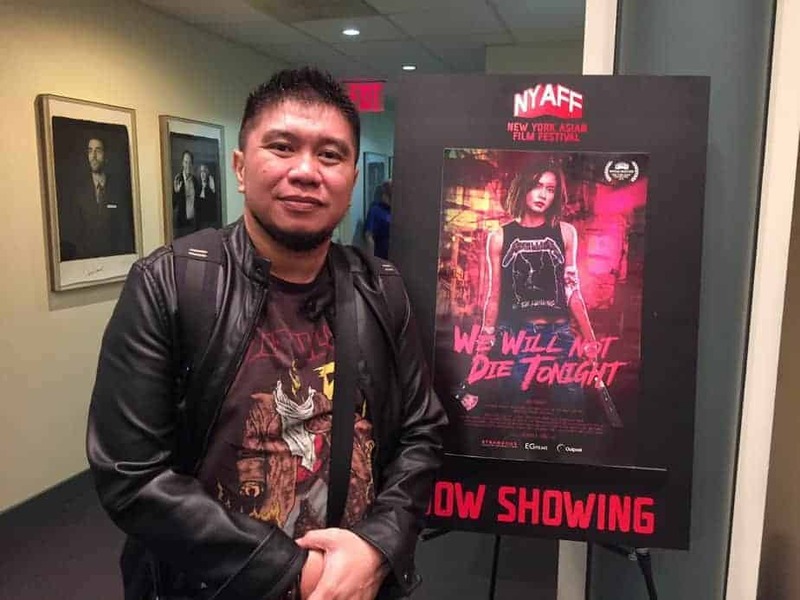 He has continued to make diverse genre films with female protagonists including Erich Gonzales-starrers Mariposa in the Cage of the Night (2002) and We Will Not Die Tonight (2018). You also work as a production designer. How did your work in this department shaped you as a director? You have cooperated with Erik Matti. Can you tell us about this experience? Working with Erik Matti as part of the art dept crew and eventually becoming a production designer really molded me as a filmmaker, since Erik Matti is very generous and open to share his insights and techniques in filmmaking. I was one of the few who is mentored by such a wonderful and very creative director. He pushed my limits as an artist and he never hesitated to throw me in the fire in order for me to be a more passionate and dedicated filmmaker. He also taught me about film language and and inspirations on different kind of movies. I will always pay tribute to Erik Matti for reaching where I am right now and for giving me the freedom to create my own and to find that certain voice inside me. So, the decades that I worked with him was a learning experience to me and discovering what I really wanted to do with my craft. “We Will Not Die Tonight” is quite violent in its presentation. Why did you choose this approach? What is your opinion about the depiction of violence on film, and what on real life? I choose violence as my main theme in the film because its more of an eye opener to me about how the world really works now. How life is easy to be taken and how it can be preserved and being able to value it by surviving and fighting for it. So it is my own little way of commenting on violent issues not only in the Philippines but in the whole world, and how life can be fragile and volatile at the same time. And with “We Will Not Die Tonight” I presented violence in a most brutal way in order to paint a picture of how real it can be if it could happen to you in real life. The film features heavy metal music and Kray even wears a Metallica T-shirt. Can you elaborate on this element? I am a big fan of Metallica because of their pure energy and mayhem and epicness, I think the shirt with “Ride the Lightning” album for Kray symbolizes her energy! Her power, her determination and pure epicness in terms of attitude and character. Why did you choose to shoot most of the movie in an abandoned building? Can you tell us a bit more about the locations the film was shot? Any memorable episodes during the shooting? Both good and bad. I choose abandoned buildings as my setting because Ι really wanted to have that industrial kind of feel where survival is thin and the feel of metal and industrial architecture adds to the danger and mayhem that will happen. I want to have that certain kind of feeling that it ιs kind of a different Manila… its the other side of Manila where steels and engines and massive buildings stand. Its like the place iσ gonna eat you alive. The image on the film is frequently flooded with yellow, green or red color. Can you tell us a bit more about this choice? How was your cooperation with cinematographer Alex Esperto? Alex Espartero is always with me, especially with this kind of project where we just have to throw away everything and just shoot the film with any resources we have. And Alex is very more creative on using those available lights as our light source. I asked him for a certain look, which is more on the hyper realistic kind of feel of the lighting mood. And I am glad Alex achieved it in a much creative and very resourceful way. Alex won an award also in my previous films. The action scenes in the film are great. Can you give us some details about the action choreography from Jake and Jhappy Bahian? Jhappy and Ξake are always with me every time I am doing an action scene. I just really like their working elements because they came form an old school kind of stunts group. So their stunts are already like being mastered for years, but not in a martial arts kind of way. I asked them for more realistic fighting scenes ,where it should look like a brawl and free for all fighting style because its not about the techniques of martial arts buts it is more of a survival kind of fighting. And what will you do if you are in that kind of situation. And what is interesting is Filipino stunts is that they are totally different from martial arts style, but more on aggression and chaos. Erich Gonzales is known for roles much different that the one she plays in this film. Why did you choose her for the role of Kray and how did you guided for the part? Was it difficult for her acting in all these violent actions scenes? In general, how was the casting process like for the film? I developed the script for Erich, since we had already worked before, way back in her first horror film,”Corazon Ang Unang Aswag”, where she plays a tough female protagonist again . So i just saw a very powerful energy in her in terms of her performance, not only on the action but very much also her ability on portraying human dramas. I think she has that certain kind of instinct and knowledge on how she will portray the role and also her passion and energy is very exceptional. Thats the reason she also produced the film cuz she really liked the material first hand. That is how passionate Erich is… She wants to test her limits and capabilities not only as an actress, but also as an artist. She made all her stunts 100 percent because she wants to test her limits also in terms of physicality and endurance. We made some rehearsals and run throughs, but most of the time the fighting scenes are done randomly. So that is what really impress me about Erich, her passion and dedication. What is your opinion about Philippino cinema at the moment? My view of Phil Cinema right now is very healthy and exciting and brave. I think everyone is out there to do a lot of new stories and visions and I think that is the most important part when all filmmakers are passionate and aggressive to pursue such visions. It is still an uncertain time, but the energy is still there and its very aggressive and powerful. I think that is the best part. So it also influences producers to do more, despite of budget restrictions. But the energy is contagious and everyone is very optimistic and hopeful. Can you give us some details about your latest film, “Cry No Fear”? Do you have any other projects planned for the future? Well, “Cry no Fear is my Home invasion version inn the Philippines It also stars two women who play half sisters that really hate each other to the point one of them is already planning to murder the other. However, a family of thieves come inside the house on a stormy night, so now the sisters need to resolve their issues in order for them to team up and survive the danger. It is pure genre again. Now I am working with the story for the sequel of “We Will Not Die Tonight” and the third part. The working title for the sequel is “Never See The Daylight” and the third one is “I Will not die Tomorrow”….so that is what i am working now hoping I can find a distributor with first one in order for us to generate another budget for it.